Too much “blogging”, so little time. The problem I have at the moment, so if the Weblog is quiet over the next four or five days, it’s because I have to concentrate on a work project that demands my attention. Note the crowd applauding the Turner Contemporary decision in the illustration and remember that Margate is twinned with Yalta... funny that! 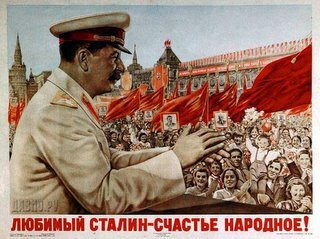 I wish we were able to emulate what Uncle Jo Stalin would have done to the perpetrators of the TC fiasco. A lonely frosty gulag in Siberia .......? about things happening that THEY would not want us to know about.